The OTP award for the drama goes to Lee Seo Jin + Yoon Yeo Jung. These two actors never fail to bristle with heart-tugging gravitas when it’s just the two of them in same frame.Their delivery was simmering perfection in the scene where Dong Seok begs So Shim to cry and grieve for Grandpa. I couldn’t respect Yoon Yeo Jung more. 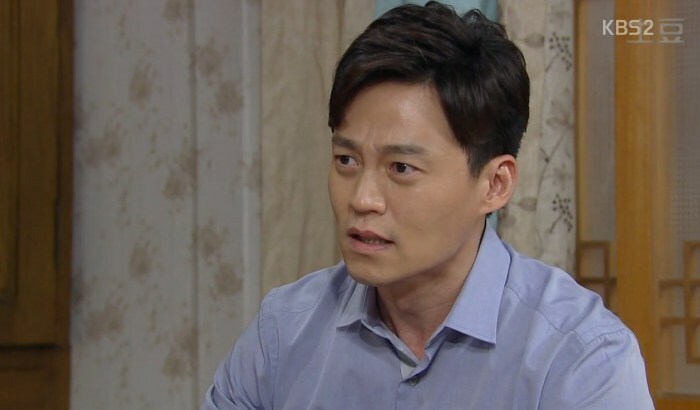 I couldn’t love Lee Seo Jin more. Grandpa gives in to HW and DS, but SS remains indignant. The Kang men celebrate, though fatter twin uncle is reluctant. But DH forces him to pour a shot for DS. HA! So cute, so sweet. Bromance forever! Later, when only DS and reluctant uncle are left, DS insists he wants a heartfelt congratulatory toast from him. Meanwhile, SS treats HW coldly. DO returns, and both DS and KD notice she is all dressed up and looking despondent.